Employees of the center are unaware why the center has been shut down. The Russian-Turkish research centre of the All-Russian State Library for Foreign Literature named after M. I. Rudomino has announced its shutdown. "We regret to inform you that our center has been shut down. 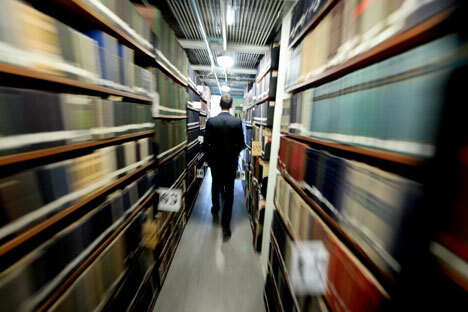 The Russian-Turkish research center of the Library for Foreign Literature no longer exists. Ottoman language courses are over, and we will be unable to help postgraduate and master's students," says a report posted on the center website. "Naturally, every planned roundtable, lecture and conference is called off, and it will no longer to be possible to use our library stock either," the report said.